The well-known Tanzanian artist Diamond Platnumz has become Uganda’s public enemy number one since he admitted on a radio station to having a love-child with video vixen Hamisa Mobeto, while being in a committed relationship with Ugandan socialite Zari Hassan, the mother to his two children. Diamond Platnumz has come from far though struggling while selling second-hand clothes, but his talent and faith has brought him to the forefront of African pop music becoming the first African artist signed under Universal Music Group to get 6x Platinum sales. The artist reached the milestone with his single "Marry you." Featuring Ne-Yo. But recently his cheating ways are getting the best of him and the mother of his kids has had enough and broke up with him. It is said a man is only as faithful as his options and as the most popular East African artist right now, it is safe to say that Diamond does not need to run after women as they gladly throw themselves to him. This lifestyle is pretty stressful and the strongest men fall to temptation sometimes. For Diamond, money and fame have helped out in attracting some beauties such as Zari Hassan, Wema Sepetu, Hamisa Mobeto and former Big Brother Winner Dillish Mathews, among surely many many many others. 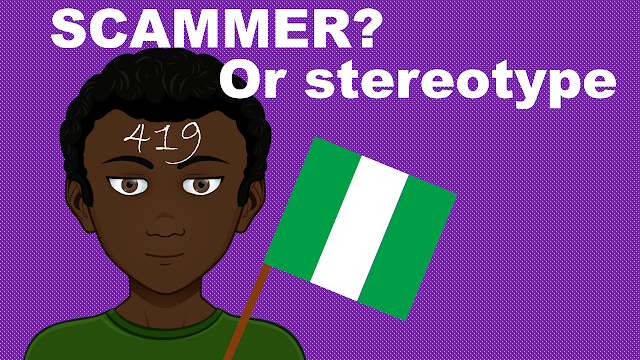 Still no matter how many women a man encounters, there is always a special one who is really the one. For Diamond many knew Zari was and may still be that one since they were able to produce 2 beautiful kids from their love and seemed to be going strong until lately. 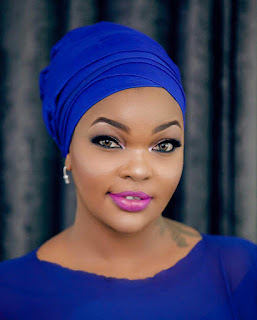 However, some may argue that Actress and Miss Tanzania 2006 Wema Sepetu was the one for Diamond although things did not really work out, but is there still a chance between these two? No matter what, we all agree Diamond’s relationships with Wema and later Zari are the ones that brought the most attention and would be hard to shake off for every party involved. Also, you could say that there has always been some sort of beef between the Ugandan socialite and Miss Tanzania 2006 over no other than crooner Diamond Platnumz. And here is what to remember about the 2 greatest love interests in Diamond’s life. Wema Sepetu started dating Diamond Platnumz in 2011. The relationship was very tumultuous and they both experienced short break-ups here and there. However, they seemed to be the “it” couple of the Tanzanian entertainment scene and fans loved their relationship. Like Bennifer or Kimnye, Wema and Diamond could have easily gotten their own nickname like Wemond or Sepenumz… anyway, just to say they were really into each other and were even planning their future together. In fact the couple was in advanced stage of starting a company together to produce movies and music videos. They also wanted to start a family. Sepetu revealed they tried to conceive, but their efforts bore no fruit. “We tried to get a baby together, but all was in vain. We visited several reproductive health experts and I even took traditional medicine but I wasn’t lucky.” Confessed Wema Sepetu. 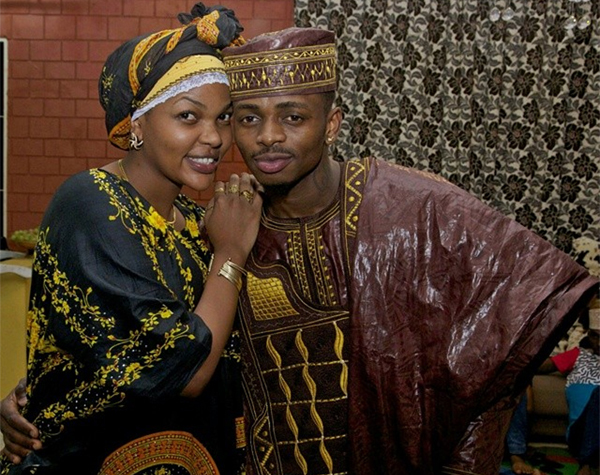 In 2014, Diamond Platnumz reportedly was the one who broke up with Wema Sepetu for allegedly being unable to have kids. To love a man potentially unconditionally and seeing him unhappy about the one thing a woman would want to provide the most but is unable to, is a crushing situation. Fans were sad about the break up and Wema Sepetu admitted that Diamond was truly the one that got away. Talking of “the one that got away” is very deep emotionally for a woman who seems to have tried her best to make a relationship work. Fixating on the "one that got away" can even become particularly terrible if it gets in the way of focusing on building a healthy relationship. But the fixation can become severe if people are unwilling, whether because of trauma or learned behavior, to see their fantasy object as a real person. It could have been the case for Wema Sepetu but she later looked like she moved on to a healthy relationship when she started dating someone else. But rumors of Wema and Diamond hooking back up were very slow to cease. On January 2016, Sepetu announced she was pregnant and expecting twins from her new relationship. But she later miscarried unfortunately. Meanwhile, Diamond had also moved on. 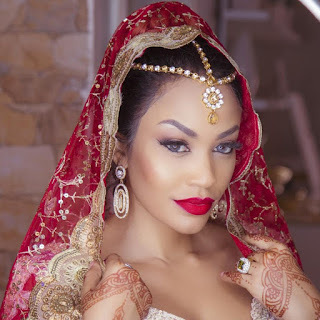 Soon after breaking up with Sepetu, the Tanzanian singing star was already rumored to have fallen in the arms of a Ugandan born, South Africa-based socialite and "part time" musician Zari Hassan. They were seen out together a lot and a low key rivalry between Sepetu and Hassan sparked from there. East African tabloid started having fun revealing scandalous details about the feud between Zari Hassan and Wema Sepetu. As Sepetu was enjoying a successful career as an actress and reality star, she was also dealing with her ex and his new boo. It was already rumored that Diamond had cheated on Wema with Zari and fans were fast to add fuel to the fire. 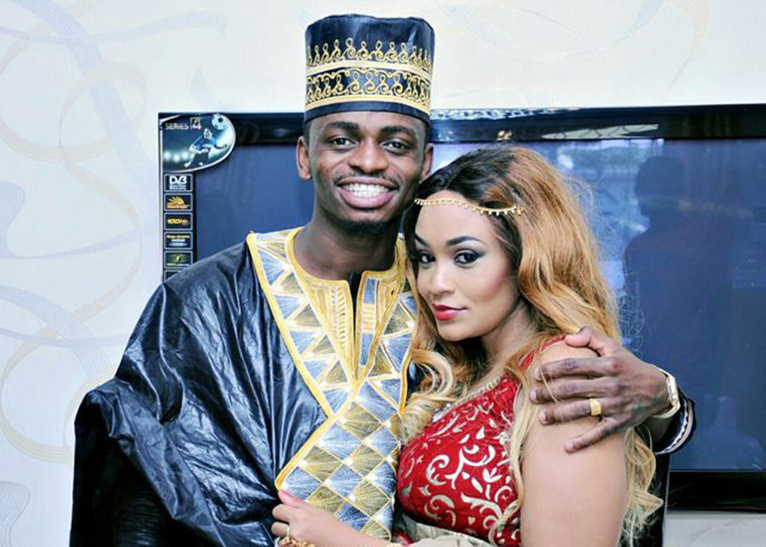 According to the tabloids Zari and Wema were low key feuding over Diamond. It appeared to many that while Zari and Diamond were being happy, Wema Sepetu looked like the jealous one on the corner. But Zari Hassan’s background was also very interesting. She had been married before and had three children from a relationship with a Ugadan tycoon. She was known as a certified gold digger and the fact that she is 9 years older than Diamond did not help. Through everything, the couple was still going strong. However the year 2017 was a difficult year for both Wema and Zari. In fact, on May 2017, Hassan had the terrible experience to lose the father of her three older boys. Ivan Semwanga, her ex-husband, is said to have died at Steve Biko Academic Hospital in Pretoria South Africa. Later, Hassan suffered another tragic loss. Her mother, Halima Hassan died on Thursday, July 20 2017 while undergoing treatment in Uganda. She allegedly succumbed to kidney and heart problems. Later that same year Diamond Platnumz admitted to have cheated on Hassan with Hamisa Mobetto, a video girl who appeared in the Tanzanian singer’s “Solome” video. Mobeto revealed she was expecting from the affair. Wema Sepetu also had a hard time. The former Tanzanian beauty queen said she sometimes thought death would rescue her from her tribulations. Wema Sepetu was greatly affected by all the social media ranting. she took to her social media page and poured out her feelings for all to see. Wema said she sometimes wish she could die so that haters will have nobody to troll. She tried to imagine how cyber bullies would react in the event of her death. According to Wema, she would rather be dead than sit back and deal with insults from all corners. Wema eventually left social media and deleted all off her pictures on Instagram. She came back on January 2018 with a more positive attitude. The positive Sepetu also took the opportunity to link back with her ex Mr. Platnumz but only for business, as Sepetu herself announced, “Diamond is going to be my boss because I have a show on Wasafi TV.” The two found a way to be cordial to each other but rumors had it that Zari Hassan took this as the final blow from Diamond Platnumz. 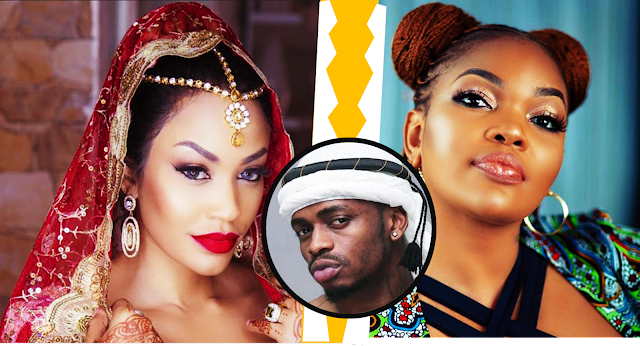 As Zari Hassan and Diamond Platnumz called it quits, now that he is working with his ex Sepetu, will Diamond and Wema Sepetu rekindle their love? Since Diamond and Zari Hassan have kids together they will always be in each other’s life, will it cause the too to dabble back into a relationship? Do you smell a real love triangle happening?